The Monster Manual presents a horde of classic Dungeons & Dragons creatures, including dragons, giants, mind flayers, and beholders. A monstrous feast for Dungeon Masters ready to challenge their players and populate their adventures. The monsters contained herein are culled from the D&D game’s illustrious history, with easy-to-use game statistics and thrilling stories to feed your imagination. 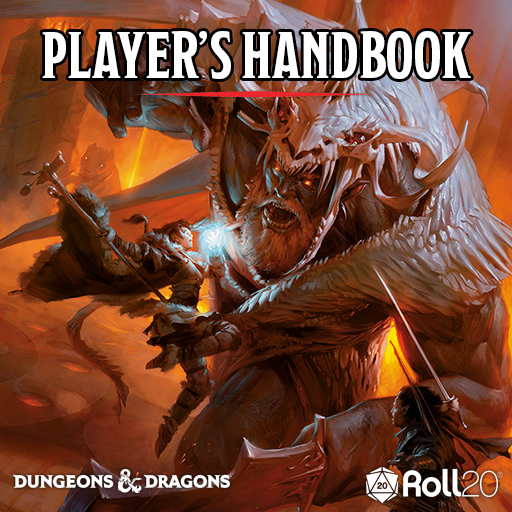 The Roll20 version of the Dungeons & Dragons fifth edition Monster Manual will expand the D&D 5th Edition Compendium to include all content from within the book. Monster descriptions and lore, as well as additional Wizards of the Coast artwork, viewable in the Bio & Info tab. You can also browse the site version of the Compendium for new ideas on terrifying monsters to throw at your players! 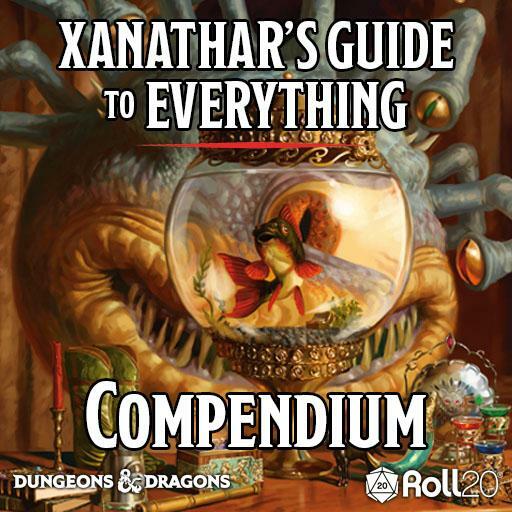 I purchased the compendium, now what? You can now access all of the monsters and information from the Monster Manual in the in-app compendium, as well as on the Roll20 web compendium. What Character Sheet should I use? All Wizards of the Coast licensed content on Roll20 uses the Dungeons & Dragons by Roll20 sheet. What's Compendium Sharing and how do I use it? Go beyond manual sharing by activating Compendium Sharing in the games of your choosing. This option allows you to automatically share all the contents of your purchased Roll20 compendiums (rule books, bestiaries, etc) with the players in your game. It also unlocks all of your Charactermancer supported features for your players. To activate Compendium Sharing, navigate to Game Settings and set Share my compendium with players? to YES. Limits apply and are outlined in the Compendium Sharing wiki. Something else is wrong. Help! If you're experiencing any issues, please let us know in the bug reporting thread. D&D, Monster Manual, their respective logos, Dungeons & Dragons, and Wizards of the Coast are property of Wizards of the Coast LLC. ©2017 Wizards. All Rights Reserved.